Massachusetts high school students are invited to submit a 30-second video promoting the school breakfast program and encouraging their peers to eat a healthy school breakfast. Submissions will be accepted between March 3rd and April 4th, 2014. 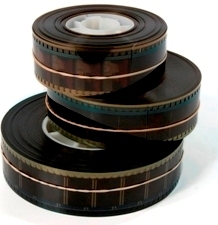 The winning video will receive a $1,000 American Express® gift card to be spent on the class. Second place will receive a $300 American Express® gift card to be spent on the class. Third place will receive a $200 American Express® gift card to be spent on the class. 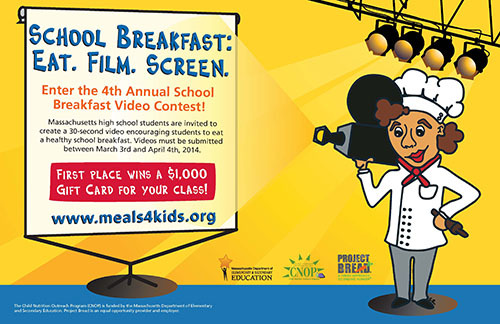 Get started today, check out the rules for 2014's School Breakfast Video Contest!